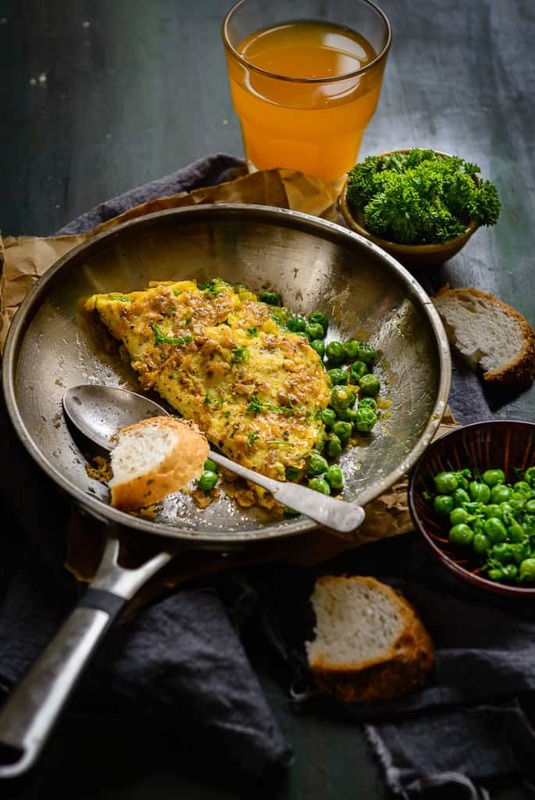 Quick to make, easy to make and tasty to eat, Peas and Parsley Omelette is a sure win for the day. Read its simple recipe and eat it soon! Eating eggs for breakfast is like a daily ritual for us. Not only do they give us our share of protein but eggs make up a wholesome, filling breakfast that helps to survive till one eats lunch. In order to surprise my kiddo and my husband with a unique breakfast, I use eggs for preparing Breakfast Fried Rice or Egg Scramble et al. However, recently, I thought of preparing stuffed omelette by using fresh veggies and cheese to make it sizzling. I hit upon the idea of using peas, parsley, cheese and eggs by chance and then I quickly started crafting it. 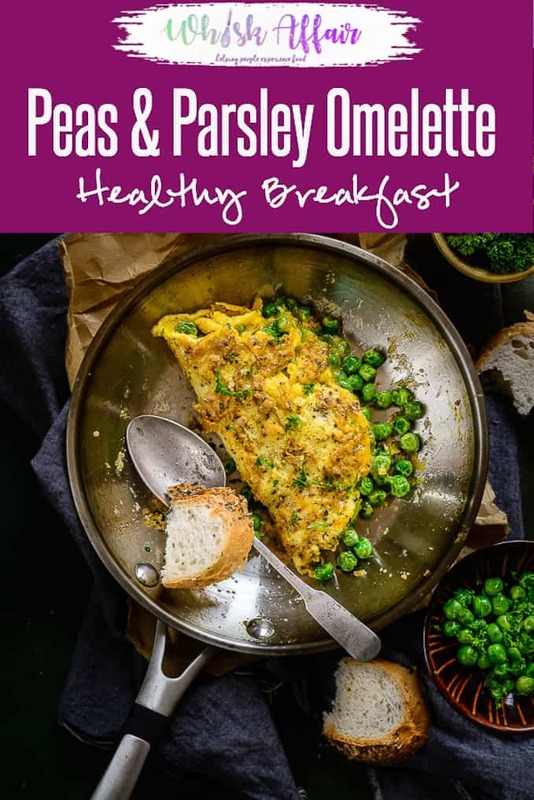 Peas and Parsley Omelette turned to be nutritious as well as yummy. Despite having used veggies, my kiddo who hates eating veggies feasted on Peas and Parsley Omelette without having any idea that he actually eating veggies as well, ha! I intentionally grated some cheddar cheese on Peas and Parsley Omelette so that at least under that pretext, my sunny boy would complete his breakfast. My husband also liked Peas and Parsley Omelette so much that I had to pack a couple of them for his lunch hour as well. 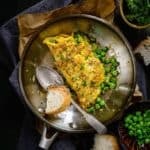 Instead of eating the regular omelette every day, Peas and Parsley Omelette brings around a tempting variety on the table and it proves to be salutary as well. 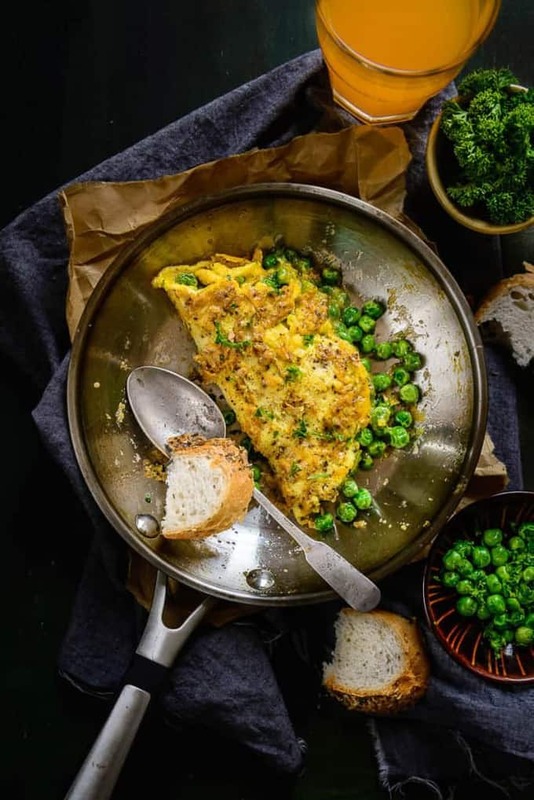 In order to keep things in check, I had used olive oil and basic spice such as black pepper powder in order to prepare a mild Peas and Parsley Omelette. Add peas and salt and cook for 3-4 minutes. Add parsley and remove the pan from heat. Whisk eggs with salt and freshly ground black pepper. Pour the egg mixture in the pan and let it set until 90%. Keep the filling in the centre and roll the omelette. Garnish with chopped parsley and serve hot with garlic bread on the side.